BAC’s directors are leaders in the bioenergy field, representing all sectors of the industry, individual companies, public agencies, academic experts and nonprofit organizations. 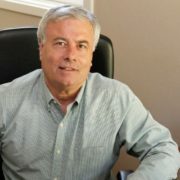 Paul Relis has served as the Senior Vice President of CR&R since 1998. In recent years, Paul has helped lead the development of CR&R’s organic waste to energy facility in Perris, Riverside County. When completed, the CR&R facility will be one of the largest organic waste to energy projects in the country, converting 330,000 tons of food and yard waste per year into 4 million gallons of renewable biogas that will be used to fuel CR&R trucks and be injected into a Southern California Gas pipeline. Prior to CR&R, Paul served on California’s Intergrated Waste Management Board at the California Environmental Protection Agency. Paul also founded and served as Executive Director of the Community Environmental Council in Santa Barbara. Paul is also the author of Out of the Wasteland: Stories from the Environmental Frontier. Since founding GNA in 1993, Cliff has been instrumental in the development of environmental programs and policies that have improved air quality, increased the use of clean fuels and advanced technologies in transportation, and that have spurred the creation of innovative public-private partnerships in a variety of sectors. It is for these reasons that he has become one of the most sought after leaders within the environmental and energy communities—he offers unparalleled experience, insight, and perspective on critical issues at the very heart of our transportation and energy systems. Cliff works on both coasts, spending time in both the New York and Santa Monica offices of GNA. Christine Compton has served as the Director of Government Relations for the Irvine Ranch Water District in Orange County since 2013. She has also served as the Deputy Chief of Staff and Policy Advisor and legislative aid for Orange County Supervisor Bill Campbell and the legislative aide for Assemblyman Bill Campbell. Christine has a law degree from Loyola Marymount and a business degree from the University of Southern California. As General Manager of the Victor Valley Regional Wastewater Authority, Logan Olds is responsible for the overall management, operation, maintenance, and capital improvements program for the Authority’s 13 million gallons per day (MGD) wastewater treatment facility, pump stations, and 40.5 miles of interceptor sewers. VVWRA provides full tertiary treatment and Title 22 reclaimed water, serving a population of over 200,000 people in the High Desert. Prior to moving to the Victor Valley, Logan served as General Manager of the Susanville Treatment Plant located in Northern California. Logan holds a Bachelors degree in Ecology and a Master’s degree in Water and Wastewater Utilization from Humboldt State University. Julia Levin has served as BAC’s Executive Director since BAC’s founding in early 2013. Prior to BAC, Julia served as the Deputy Secretary for Climate Change and Energy at the California Resources Agency. In that position, she chaired the Governor’s Inter-Agency Bioenergy Working Group and led development of California’s 2012 Bioenergy Action Plan. Julia has also served as a Commissioner on the California Energy Commission, where she was the presiding Commissioner on renewable energy and the associate Commissioner on energy efficiency. She presided over the adoption of RPS eligibility rules, power plant siting cases and other issues. Julia has also served as Global Warming Director for the National Audubon Society and State Policy Coordinator for the Union of Concerned Scientists. Julia has a B.A. from Brown University and a law degree from the University of California, Hastings College of Law.